AleaSoft would like to welcome Air Products as our newest client, one of the world’s leading industrial gas companies. AleaSoft is proud to count Air Products as a client for our energy price forecasting services for a variety of markets. 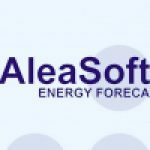 AleaSoft complements its price forecasting services with forecasts related to other price-related variables, in which market players are also interested, such as forecasts of commodity prices (Oil, Gas, Coal, CO2 emissions), electricity demand, production by technology (wind, hydro and solar) and meteorological variables, also influencing the electricity price. With this new contract, AleaSoft reinforces its mission and its leading position as a provider of energy price forecasting models. These models are being used by major European market players, such as: Endesa, E.ON Spain, Gas Natural Fenosa, Electrabel–GDF SUEZ, E.ON-Italia, Iberdrola, Shell, BBE, Statkraft and ContourGlobal, as AleaSoft continues to expand its client base. AleaSoft has been a strong player in the European market, and has ambitions to cater globally.